One of the trips in the US that we had always wanted to do was a “Deep South” road trip. We think the USA is the perfect country for road tripping in, and we’ve already done a number of road trips here, including iconic Route 66, the Pacific Coast Highway, and the Oregon Trail. The Deep South was a part of the USA that neither of us had fully explored, so we decided to spend five weeks crossing five states to find out what it was all about. Read on for everything you need to know to plan your own perfect USA Deep South Road Trip, including what to eat, what to see, and where to go! Where is the Deep South of the USA? Why Should You Visit the Deep South of the USA? How Long Does a Deep South Road Trip Take? First things first. If you’re going to road trip somewhere, you should probably know where it is, right? Well, the Deep South of the USA is usually defined as covering the following states: South Carolina, Georgia, Alabama, Mississippi and Louisiana. This Deep South road trip itinerary covers a road trip across all five of those states, covering key sights and attractions along the way. We’ve personally done this itinerary, and can definitely recommend it to anyone looking for a fantastic road trip across America’s Deep South. The Deep South is a fascinating part of the USA, a land with its own culture and history. 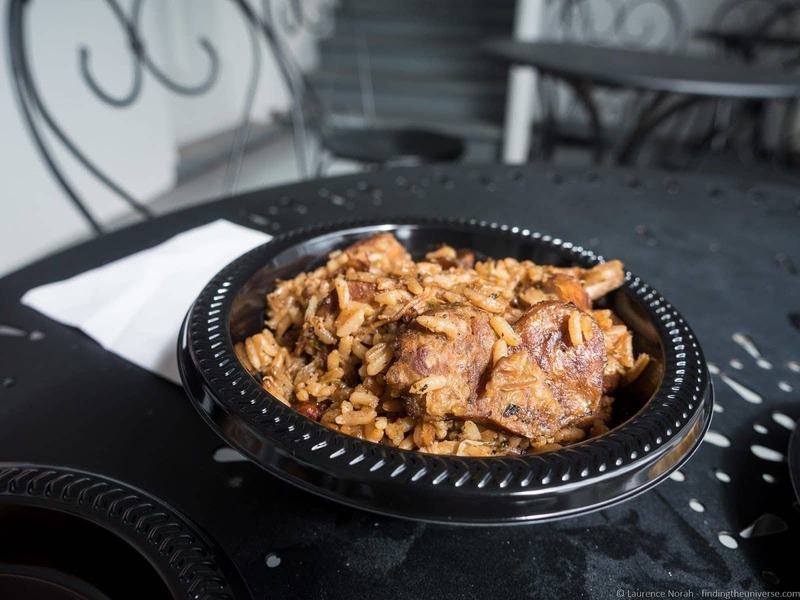 The people are known for their friendliness, the food is legendary (so are the portion sizes! ), and there is a huge amount of history here to learn about, from the native peoples through to the American Civil War and civil rights movement. 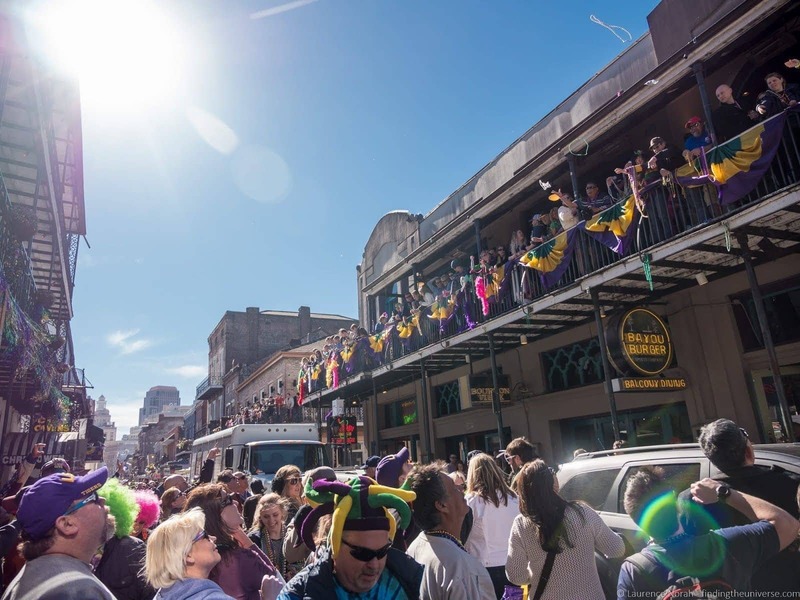 There are lovely old towns, stunning wilderness areas, sumptuous plantation homes, spooky old cemeteries and fun events – like the world famous Mardi Gras parades. To be honest there’s something for everyone. And what better way to experience all of this than by taking a classic road trip across the Deep South? We’d argue there isn’t a better way. 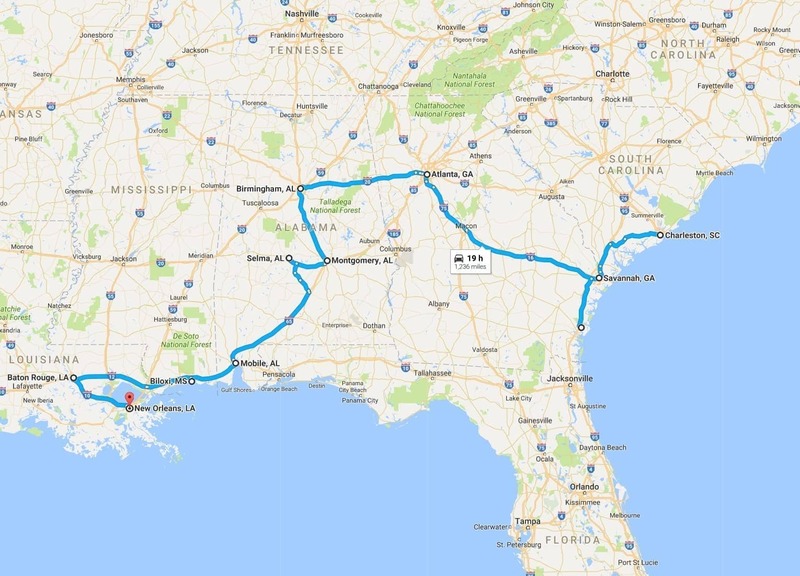 So let’s take a look at our idea of a perfect Deep South road trip itinerary. This is a one way road trip itinerary. We find this makes the most sense for this road trip, as it saves you driving all the way back to the start. If you rent a car for the trip, be aware that most car rental providers charge a one-way fee. As is often the case with our road trips, we booked our hire car directly with Enterprise who offered the best value for our trip. In terms of timing, we’d suggest taking two to three weeks for this trip. As an example of how that might look, for a two week itinerary, use the lower amount of days for each stop, and for a three week itinerary, use the higher amount. Now, let’s go through each destination in detail! Charleston is the perfect place to start this road trip. It has a food scene that is one of the best in the country, and there is a lot to see and do here – plus the airport is fairly large, so it’s easy to get to. We’d suggest spending at least two days in Charleston. Spend some time exploring the downtown area – a good way to do so is to take a carriage ride through the historic part of town. 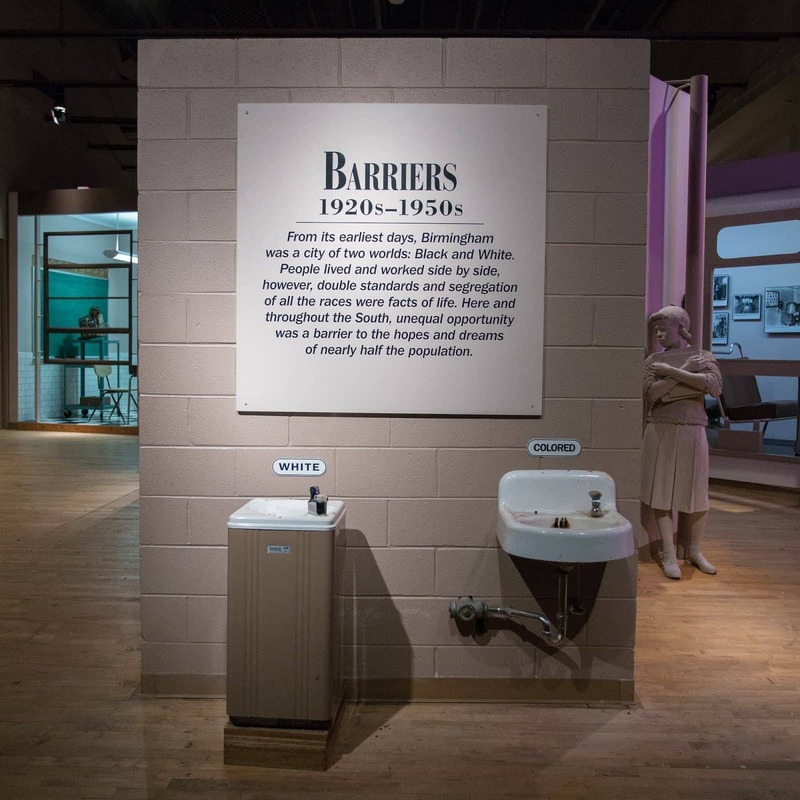 There are also a number of museums and old houses that are worth visiting, including Charleston Museum – the oldest in the US, and the Old Slave Mart Museum, which will help you learn about a darker part of US history. If you’re interested in naval or military history, the USS Yorktown at Patriots Point is well worth a visit – a retired US aircraft carrier which you can lose a whole day exploring. A trip out to Fort Sumter is also well worth it – this was where the first shots were fired in the American Civil War. 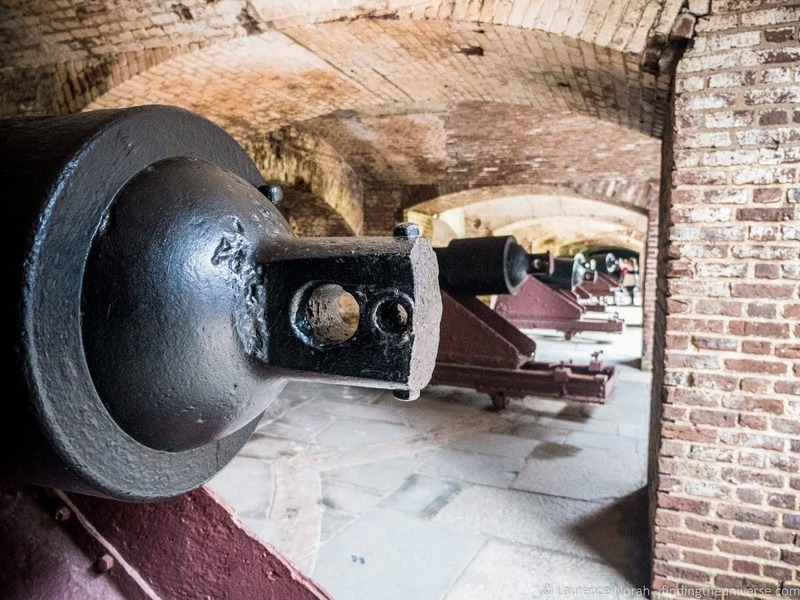 You’re going to be encountering a lot of civil war sights and information on this road trip, so starting with Fort Sumter will get you up to speed quickly. If you’ve got time, I’d also suggest heading out of town and visiting some of the old plantation homes around Charleston. We visited four of these, and can definitely recommend adding at least one to your itinerary. 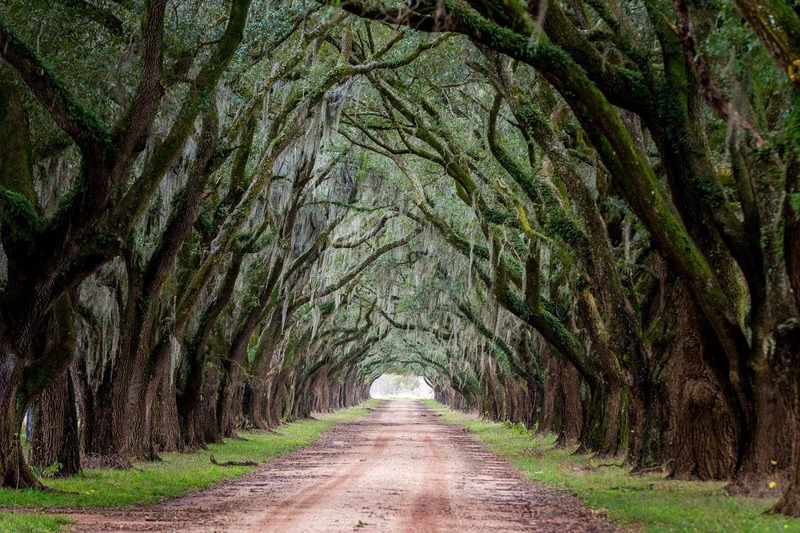 There are four within a twenty minute drive of the city: Magnolia Plantation, Boone Hall Plantation, Middleton Place Plantation and Drayton Hall. See our complete guide to the Charleston Plantations for more information and to help plan your visit. For more on Charleston, take a look at my detailed guide to visiting Charleston, which has everything you need for getting the most out of your stay. We can also recommend the Charleston Tour Pass for saving money on attractions in the city. Where to stay in Charleston: We’ve stayed in and can recommend both the Mills House Wyndham Grand and the Francis Marion Hotel. Other recommended options are the Days Inn by Wyndham, the NotsoHostel and Barksdale House Inn. 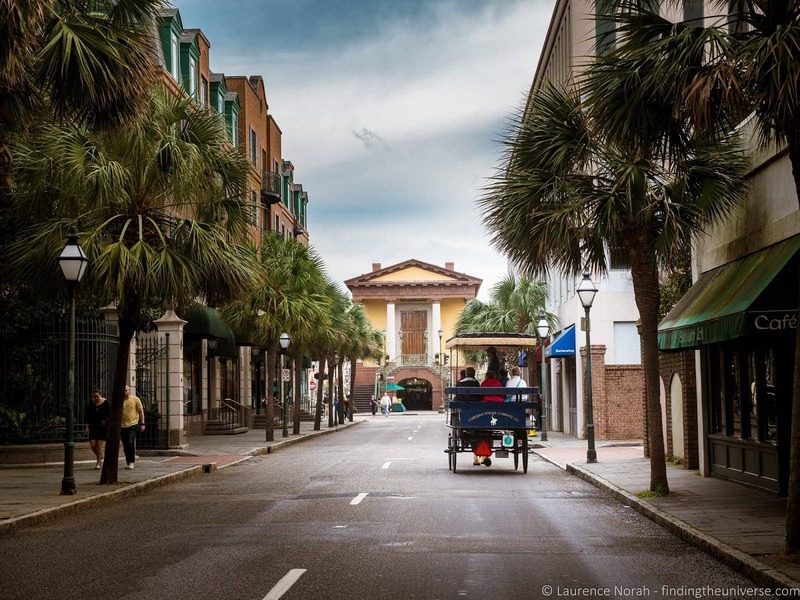 The oldest city in Georgia, Savannah has a totally different vibe to Charleston – and there’s plenty to see and do here as well. For that reason, you’ll want to spend at least a day or two in Savannah. I’d also suggest on your way down that you take the time to pop out to Botany Bay Island – there’s a beautiful beach here full of driftwood trees that is worth visiting. Once you get to Savannah, you won’t be short of options for signt-seeing, eating and drinking. 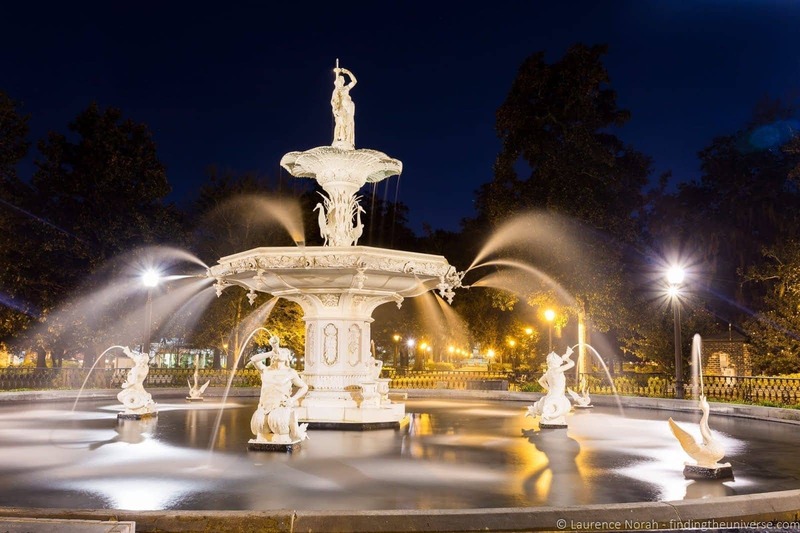 From learning about the town’s history and the civil war and civil rights movement at the Savannah History Museum, through to taking a trolley tour and exploring the beautiful waterfront, you’ll find your days full in no time. If you’ve got time, we also recommend heading out of town to Tybee Island – an old seaside resort, where you’ll find a lengthy beach and historic lighthouse. 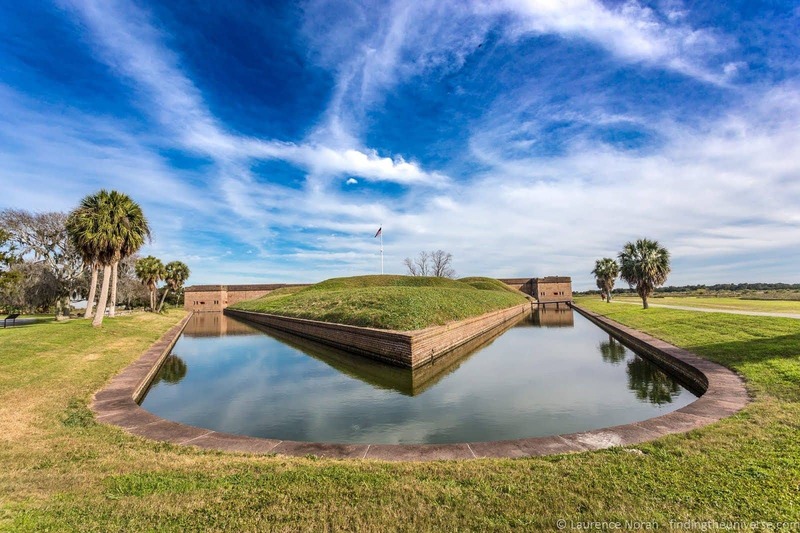 On the way there, you’ll also be able to visit the civil war era Fort Pulaski, and the excellent Oatland Island Wildlife Centre, home to everything from mountain lions to birds of prey. Finally, don’t miss the incredibly Bonaventure Cemetery, and, as you head out of town, we also suggest visiting Wormsloe Historic Site. Read more about what to see and do (and some great food ideas!) in Savannah in our Savannah guide. Savannah also has a pass that can save you money, the Savannah Tour Pass, which is worth looking into if you plan on visiting some of the attractions it covers. Where to stay in Savannah: We stayed in and can recommend the Quality Inn in downtown Savannah. Other options to consider include the Olde Harbour Inn, The Alida, and the Fairfield Inn & Suites. Next stop on our Deep South road trip is the capital city of Georgia – Atlanta. If you have time though, I’d recommend taking the time to head a bit further south of Savannah to Jekyll Island. There’s a beautiful driftwood beach at the north end of the island, perfect for watching the sunset or sunrise, and the island itself has a relaxed laid back feeling. Then, rather than the interstate, cruise up the quieter country roads from Brunswick to Macon, and the onto Atlanta. Atlanta is the capital city of Georgia, and has a definite city feel. 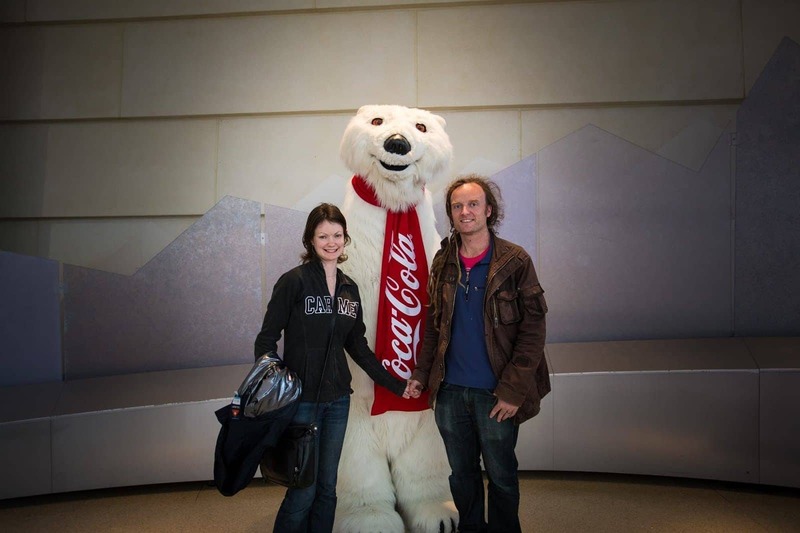 We didn’t spend a lot of time here, but we did visit the World of Coca Cola, where we learnt all about the history of this iconic soft drink (and drank a lot of it too!). Other highlights in Atlanta include the Georgia Aquarium, CNN Studio Tours, the Centre for Civil and Human Rights and the Fernbank Museum of National History. If you’re planning on visiting a number of these locations, we recommend checking out the Atlanta CityPass, which can save you over 40% on ticket prices. Once you’re done with Atlanta, it’s time to head to a new state – Alabama! Where to stay in Atlanta: Options to consider in Atlanta include the AC Hotel Atlanta, Loews Atlanta Hotel, the Springhill Suites by Marriott and the Clarion Inn & Suites. The Civil Rights movement in the USA existed across the nation, but many of the key events in the march towards equal rights for all happened in Alabama. One of these events was the bombing of the Sixteenth Street Baptist Church, which killed four African-American girls, and injured at least 14 others. 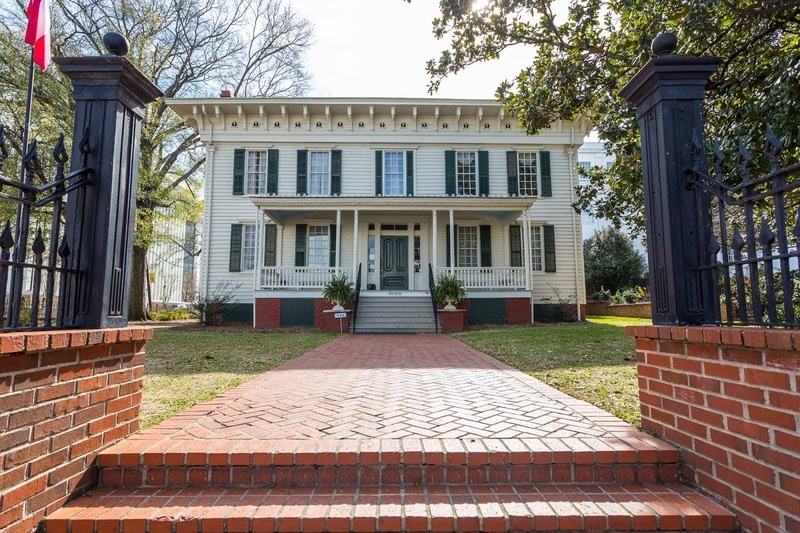 It was also the home of the Birmingham Campaign, one of the key movements that focused the attention of the country, and the world, on the civil rights movement. 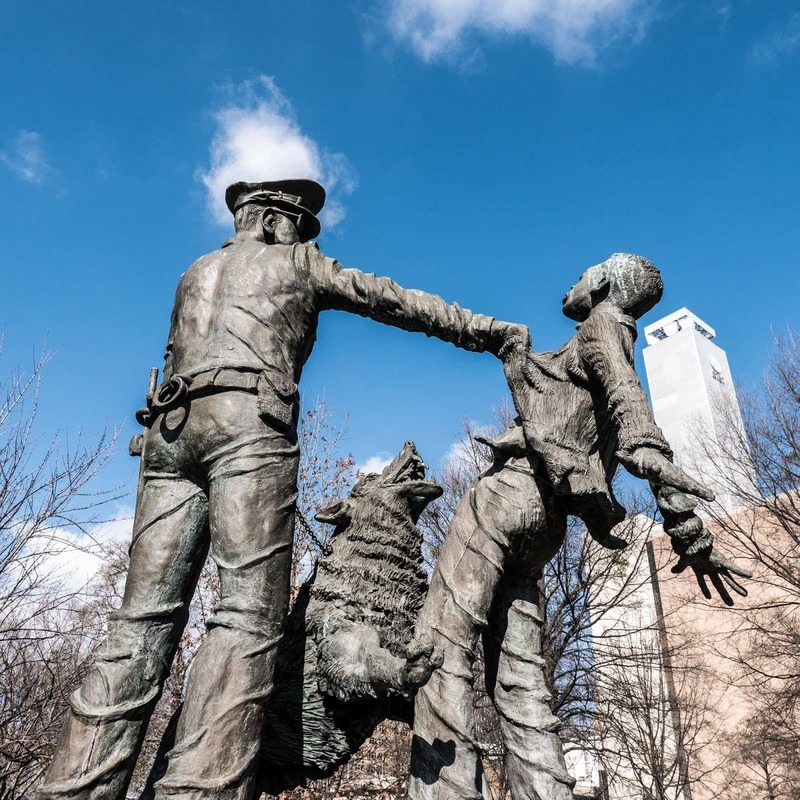 One of the best places to learn about these events is at the excellent Birmingham Civil Rights Institute, which forms a part of the Birmingham Civil Rights National Monument, alongside other key civil rights locations in the city. These include the Sixteenth Street Baptist Church and Kelly Ingram Park, both of which are just over the road from the Institute, as well as the Bethel Baptist Church and the A.G. Gaston Motel. As well as learning about Civil Rights, Birmingham has a number of other attractions. This was a major mining town and there are a number of sights you can visit to learn about this history. 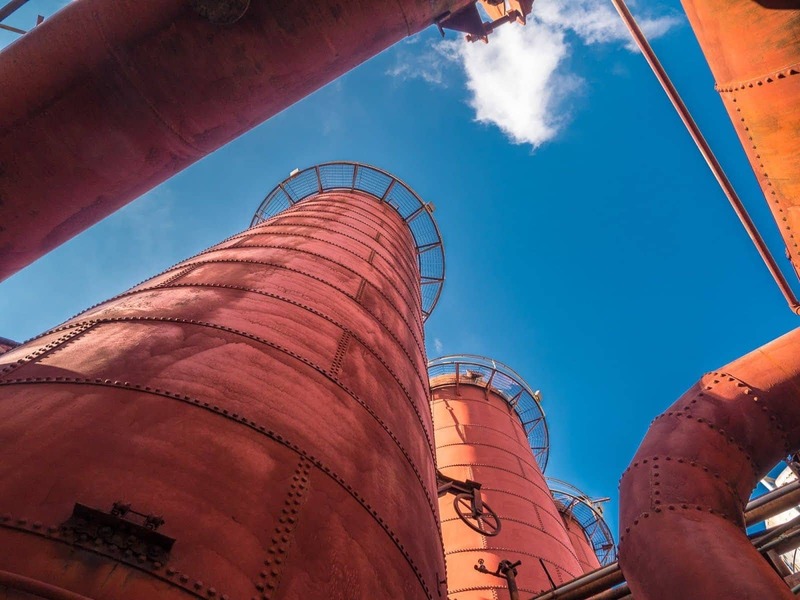 The old Sloss Furnaces, now a National Historic Landmark, offer an insight into the industrial past of the city. You can also head to the top of Red Mountain, home of the Sloss Mines, where the ore for the furnaces was mined. Today, the mountain is topped by a giant statue of the Roman god Vulcan – the largest cast iron statue in the world. This statue is the symbol of the city, and from the top of the hill you can get a wonderful view of the city and surrounds. Finally, before continuing your adventure, a food recommendation. We ate a lot of great BBQ across the South, and Saw’s BBQ in Birmingham was definitely among our favourites. 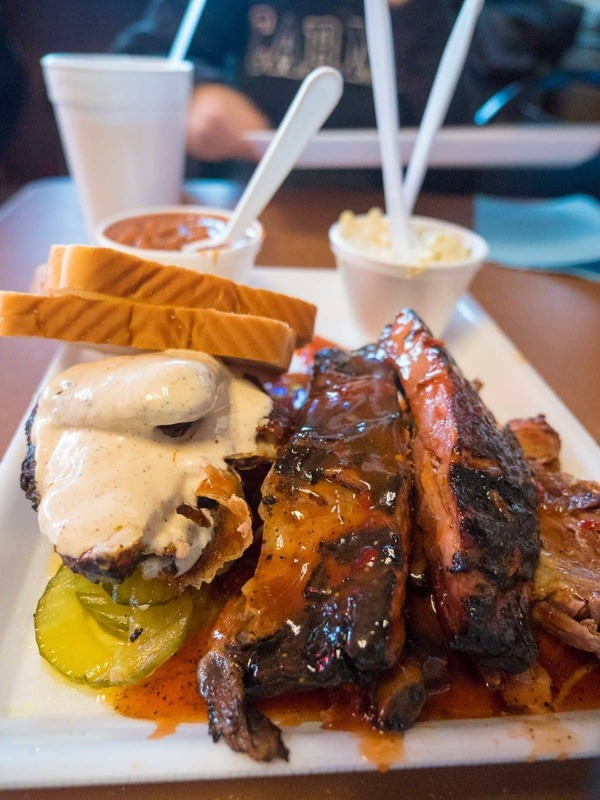 If you like BBQ – check them out. Where to stay in Birmingham: Options to consider in Birmingham include the historic 3* Cobb Lane B&B, the 3* Redmont Hotel and the 4* Elyton Hotel. For more budget options, consider the Red Roof Inn or the Quality Inn & Suites, just be aware that these are a short drive out of the city centre. 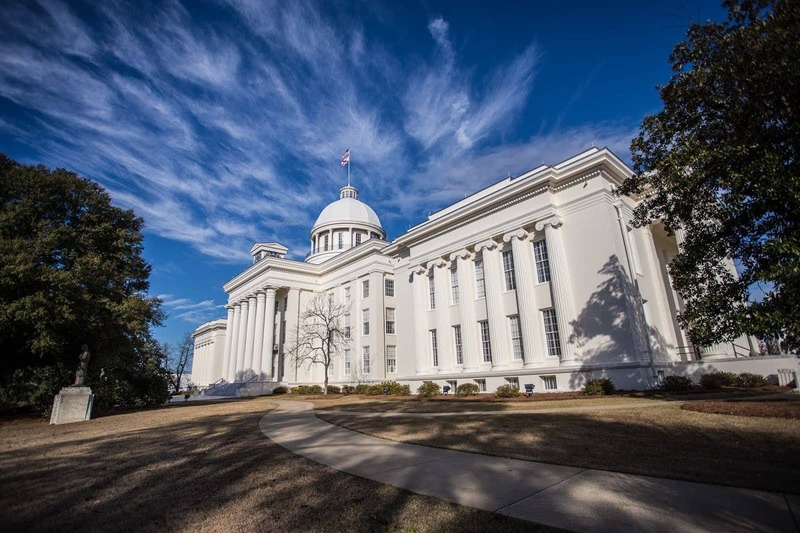 Heading south from Birmingham now, and our road trips takes us to Alabama’s state capital – Montgomery. Again, there’s a lot to see and do here. 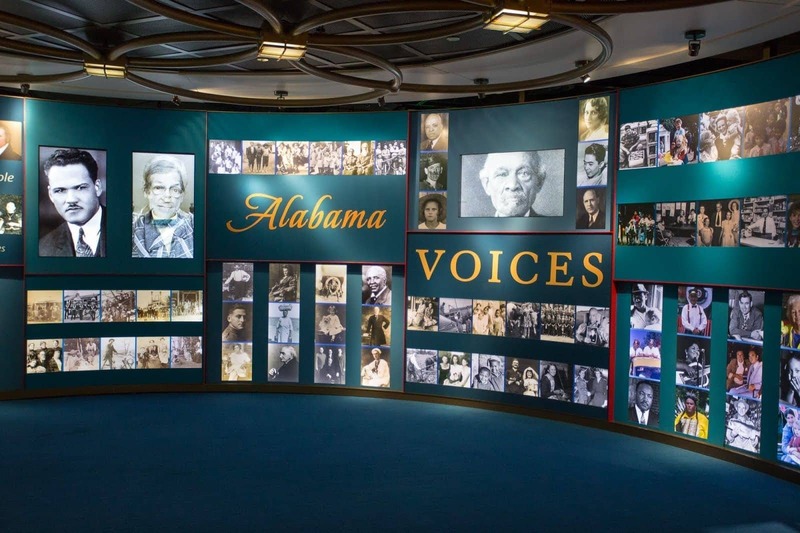 We really enjoyed visiting the free Museum found in the Alabama Department of Archives and History, which took us through a whole history of the state, from the native people through to the civil war, civil rights movement and on to modern day Alabama. Just opposite this is the First White House of the Confederacy, also worth a visit, which was where the President of the Confederate States was based during the period of time that Montgomery was the capital city of these states in early 1861. There are some other fascinating museums in and around Montgomery if you’re feeling like learning. There’s the Mooseum, which will teach you everything you didn’t know about the beef industry. Then there’s the Scott and Zelda Fitzgerald Museum, found in one of their former homes, which, as the name suggests, is all about the life of Scott and Zelda Fitzgerald – Scott being particularly famous for penning the Great Gatsby. Finally, there’s the excellent Montgomery Museum of Fine Arts, showcasing fine art from both American and International artists. Don’t worry, there’s more to Montgomery than museums of course. 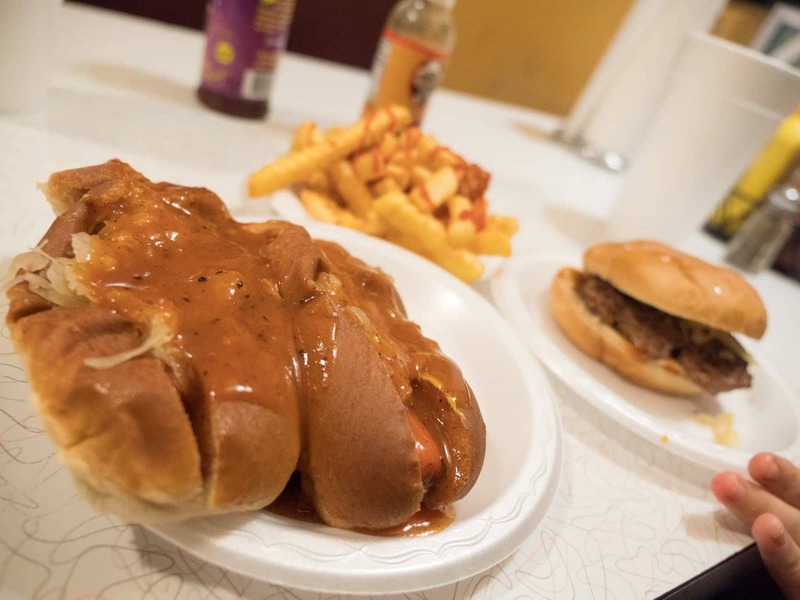 We loved visiting Chris’ Hot Dogs, a staple Montgomery diner, which has been serving up classic American fare since 1917! Finally, there are some lovely locations just to wander. Montgomery has some wonderful historic districts that are worth exploring on foot, and the riverwalk area (also home to the visitors information centre), is a pleasant spot for a stroll. Where to stay in Montgomery, AL: Accommodation options to consider in Montgomery include the Lattice Inn, the Red Bluff Cottage B&B, the Hampton Inn & Suites. Nearby budget options include this Red Roof Inn and this Extended Stay America. 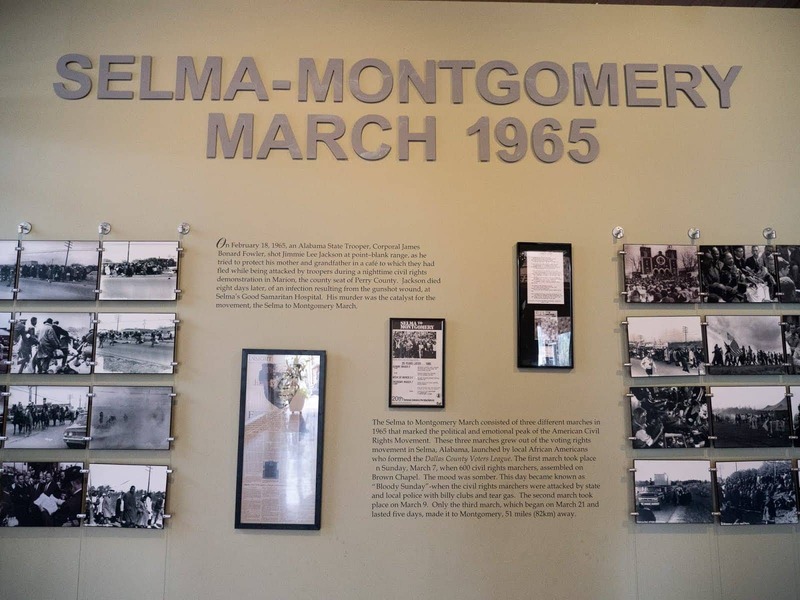 From Montgomery, it’s a short trip across to Selma, which is well worth visiting. We had recently seen the movie Selma when we visited, which had helped with some of our understanding of the importance of this town. It was in Selma that the famous Selma to Montgomery march took place, with marchers including Dr. Martin Luther King. The march met with violent resistance on Edmund Pettus Bridge on a day that became known as Bloody Sunday, and was unable to continue. The march was attempted again two days later, but again was forcefully stopped. Finally, on the 21st March 1965, the march was allowed to proceed, and made it all the way to Montgomery, arriving on the 25th March 1965. 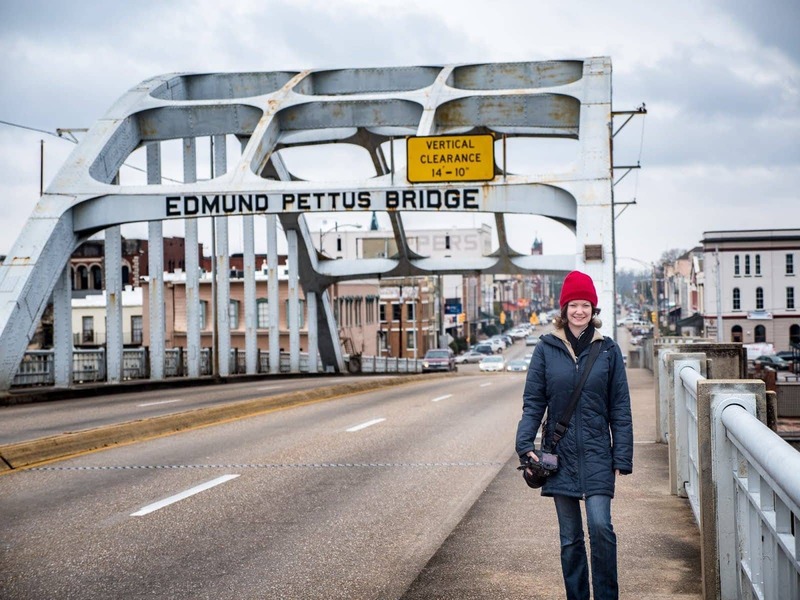 Today, Selma is worth visiting to get a feel for the town where these key civil rights events took place. 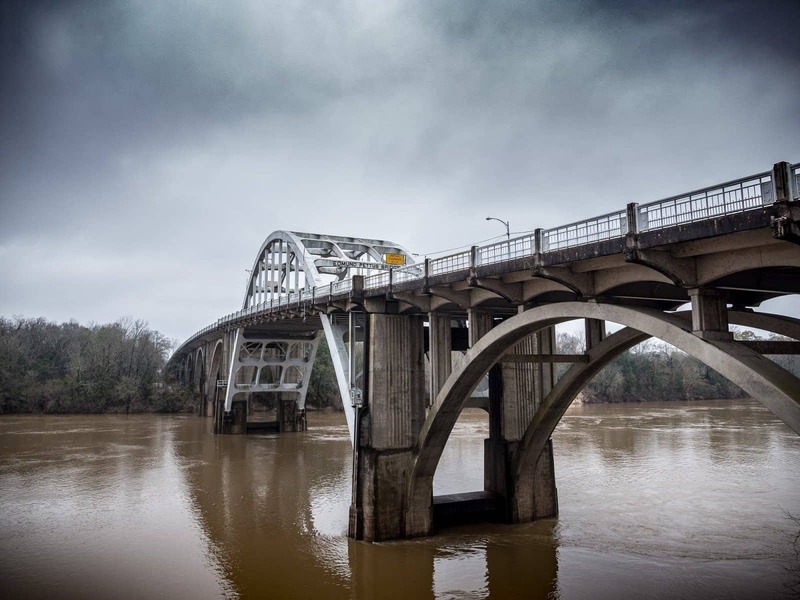 You can walk across the bridge, visit the National Voting Rights Museum & Institute, and the Selma Interpretative Centre, to get eye witness accounts and first hand information on the civil rights movement. Once you’ve finished seeing Selma, our next destination will be Mobile, but we definitely recommend taking the 20 minutes to drive out to the Old Cahawba Archaeological Site. For five years, from 1820 to 1825, Cahawaba was the state capital of Alabama. 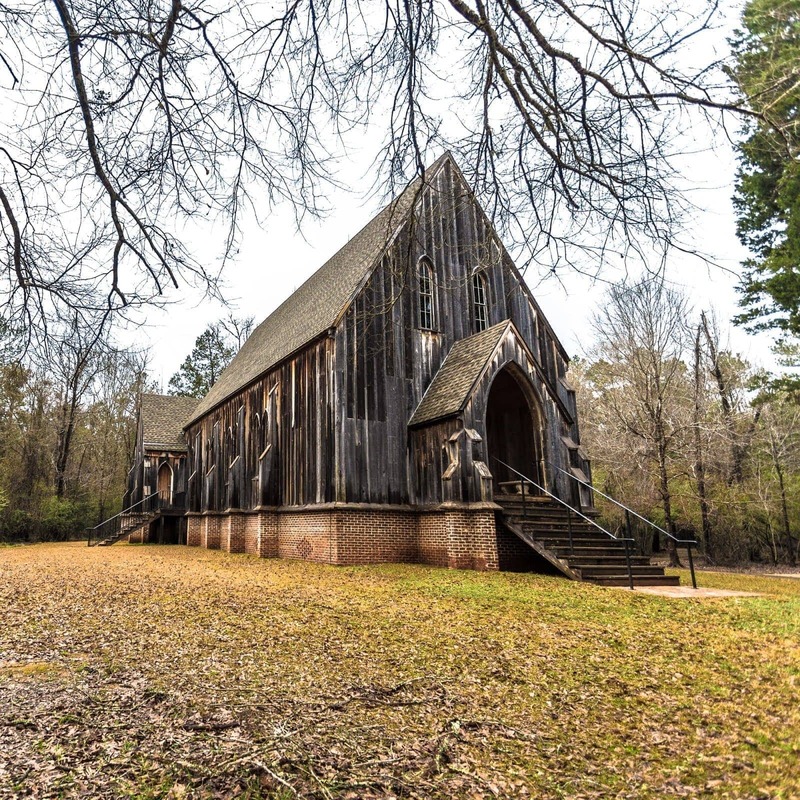 This is hard to believe today, as the town is entirely abandoned, known instead as Alabama’s most famous ghost town. Some buildings have survived, and it is eerie to drive or walk around what was once a large town that is now silent. 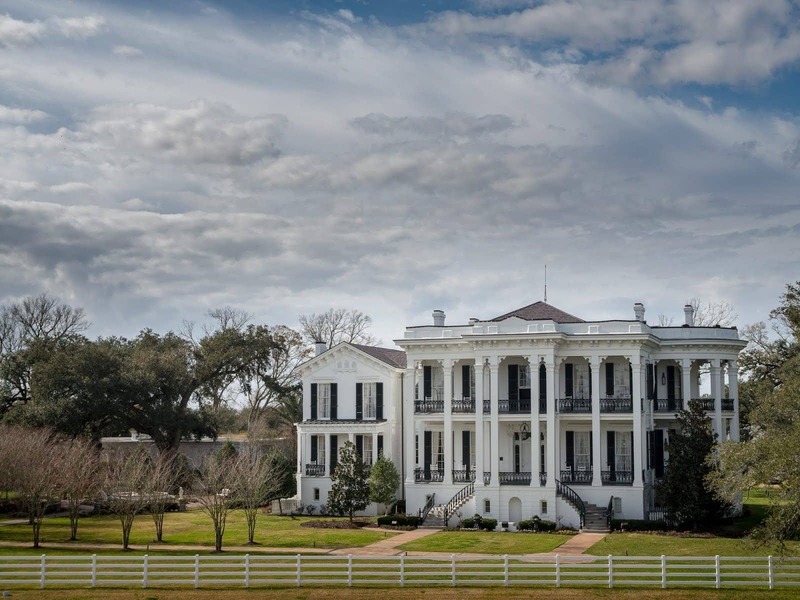 Where to stay in Selma, AL: Selma is a relatively small town so there is not a huge choice. This Holiday Inn Express Hotel is the best rated of the options available. Time to head for the coast now, and the last stop in Alabama – Mobile. In Mobile you’ll notice that famous style of French architecture that the old quarter of New Orleans is famed for, this is because Mobile was the original capital of French Louisiana. It was subsequently colonised by the British and then the Spanish, before joining the United States in 1813. Again, there’s a lot to do in Mobile, with plenty of museums, historic attractions, parks, not to mention restaurants and bars. 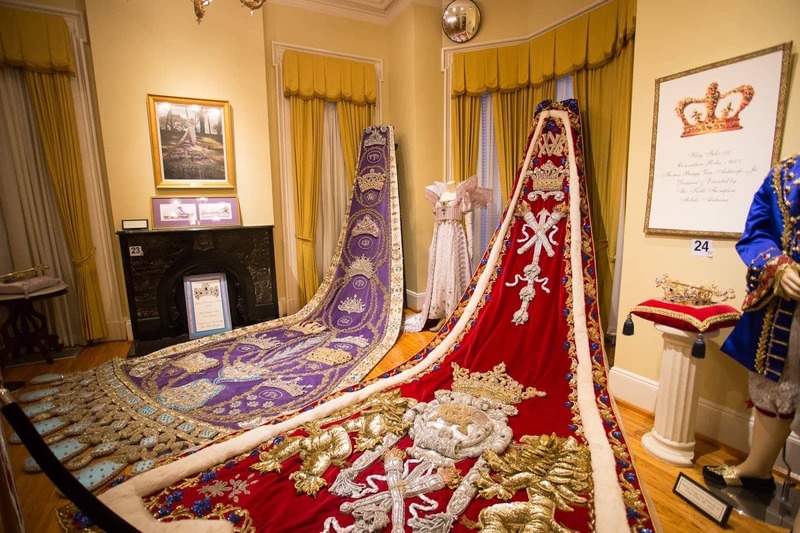 However, our real interest in visiting Mobile was to learn about the roots of the Mardi Gras Carnival, because it was in Mobile that the first organised Carnival celebrations took place, leading to the huge parades and celebrations that we now associated with Mardi Gras in the south. We were in Mobile for their Mardi Gras festivities, and very much enjoyed seeing the night time parade. We also visited the Mobile Carnival Museum, which is a great way to get up to speed with the history of the Carnival in the USA. Where to stay in Mobile, AL: Good central options in Mobile include the Candlewood Suites, Hampton Inn and Suites and the Forte Conde Inn. Value options a little way out of the city centre include La Quinta by Wyndham and Wingate by Wyndham. From Mobile, it’s time to leave Alabama and head west, into Mississippi. I’ll be honest – time constraints meant that we didn’t have time on our trip to do a lot of sight-seeing in Mississippi. Which is a shame, because this is a state with a lot to offer, and it’s somewhere we fully intend to return to. On the route across to Louisiana we mostly just drove through, but we think if you have time, you might want to add in some sight-seeing in Mississippi. Most logically, the city of Biloxi falls on the route and is a good stopping point. Other highlights of the route include the INFINITY Science Centre – a 72,000 sq foot NASA visitor and science museum which forms a part of the John C. Stennis Space Centre. If you like space, rockets and science, this is a must visit. After Biloxi, you’ll be crossing the border and into Louisiana, the final state of your deep south road trip! Where to stay in Biloxi, MS: There’s a wide range of great value accommodation in Biloxi, including several casino resort hotels. These can be fantastic value if you resist the temptation to gamble. Some examples include the Golden Nugget and the IP Casino Resort and Spa. There’s also a good value Suburban Extended Stay just outside the city. Baton Rouge is the State Capital of Louisiana, and again, there’s plenty to do here to fill two or three days of exploring and eating time. A highlight for us was a trip to the State Capitol building. This incredible construction towers over the city, and you get incredible views from the top floor – plus you can visit the House of Representatives, and the State Senate, to see politics in action. 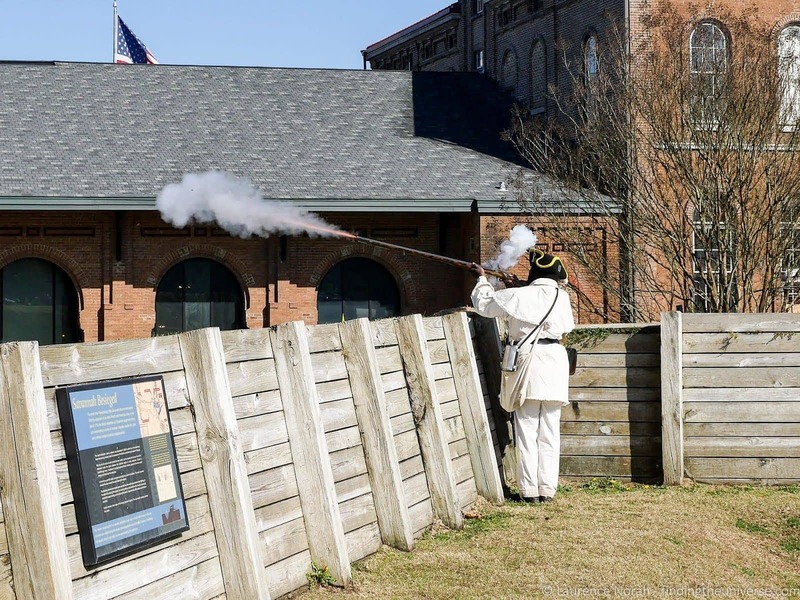 Whilst you’re at the State Capitol, you should also visit the old Baton Rouge Arsenal, originally a powder magazine, and now a museum about its history. 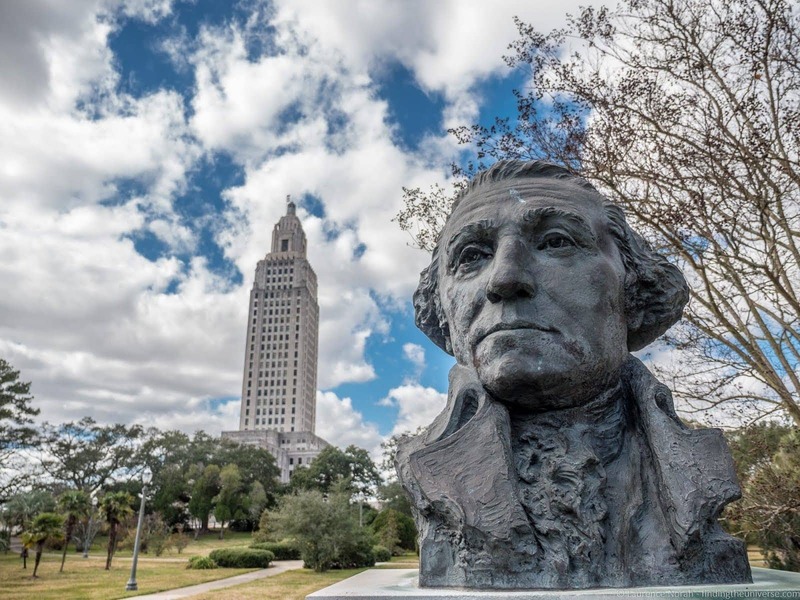 Capitol Park Museum, which covers a full history of the state of Louisiana, is also well worth a couple of hours of your time at least. 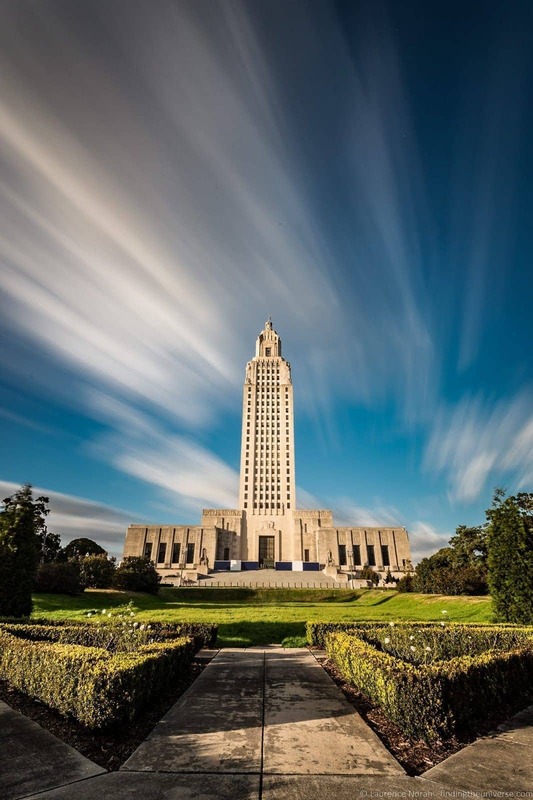 Other highlights of Baton Rouge include the castle-like Old State Capitol Building, which has a stunningly beautiful interior, the Old Governors Mansion, and the USS Kidd – a naval museum on an old warship anchored in the Mississippi. 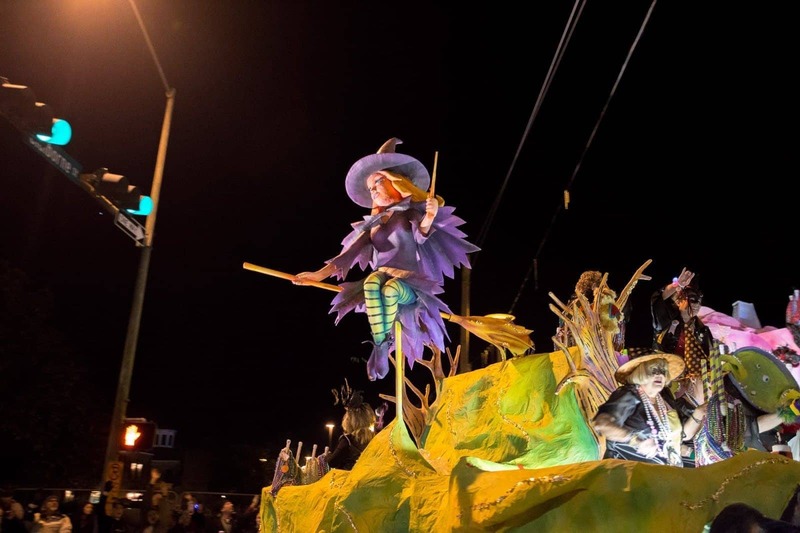 For more information on what to do on your time in Baton Rouge, including advice for visiting during Mardi Gras, check out our post on the top Things to Do in Baton Rouge. Between Baton Rouge and New Orleans, along the mighty Mississippi river, is the famous “river road”. This was once home to hundreds of plantation homes and some of the wealthiest people in the country, who made their money predominantly growing sugar cane and through slave labour. 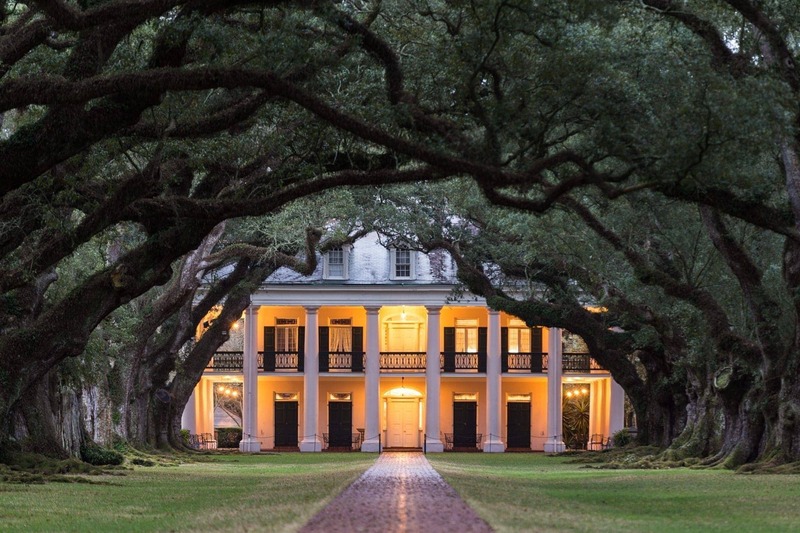 Today, a small number of these plantation homes survive, mostly as visitor attractions. There are a good many to choose from, all of which offer a slightly different experience to the visitor, including some which let you stay overnight. Helping you choose which one to visit is a post in itself – thankfully Jess has already written one. 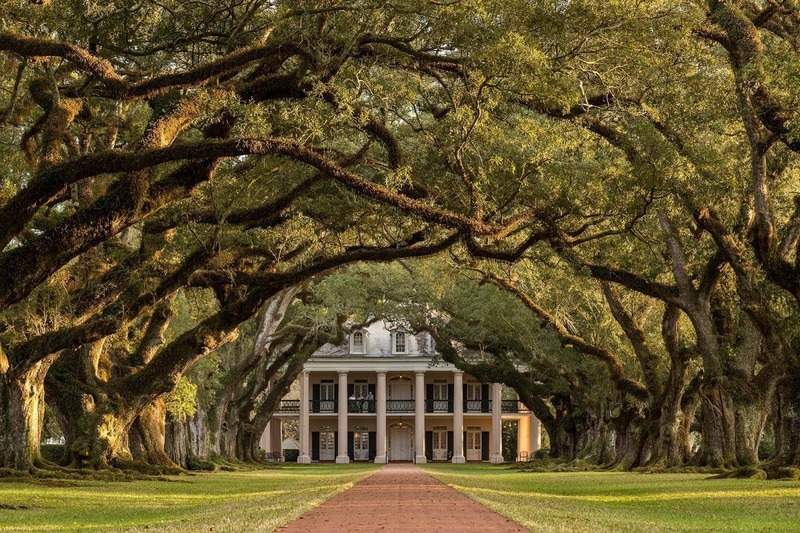 Check it out for the definitive guide to the Plantations of the Louisiana River Road, based on our experiences visiting 12 of these plantations. Where to stay in Baton Rouge, LA: We stayed at the very central Hampton Inn and Suites in Baton Route. Other options to consider include the Holiday Inn Express Baton Rouge, the 4* Watermark Baton Rouge and the Hotel Indigo Baton Rouge. For budget out of town options, try Sleep Inn South, Microtel Inn & Suites or SureStay Plus. Last stop on our epic road trip across the Deep South of the USA is New Orleans. Famous for its huge Mardi Gras celebrations, there is a lot to see and do here – so much so that we happily spent a week exploring the city. Of course, if you want to experience a huge Mardi Gras, then New Orleans is the place to come. The parades are massive, the crowds are gigantic, and the atmosphere is tough to beat. We had a lot of fun visiting New Orleans during Mardi Gras and would happily recommend it. That said, there is a lot more to the city than Mardi Gras. We suggest visiting Mardi Gras World to get a handle on the carnival, heading to the French Quarter to admire the beautiful old balconied buildings, eating Beignets at Café Beignet, sipping coffee at Cafe du Monde, and taking a tour of one of the old cemeteries. 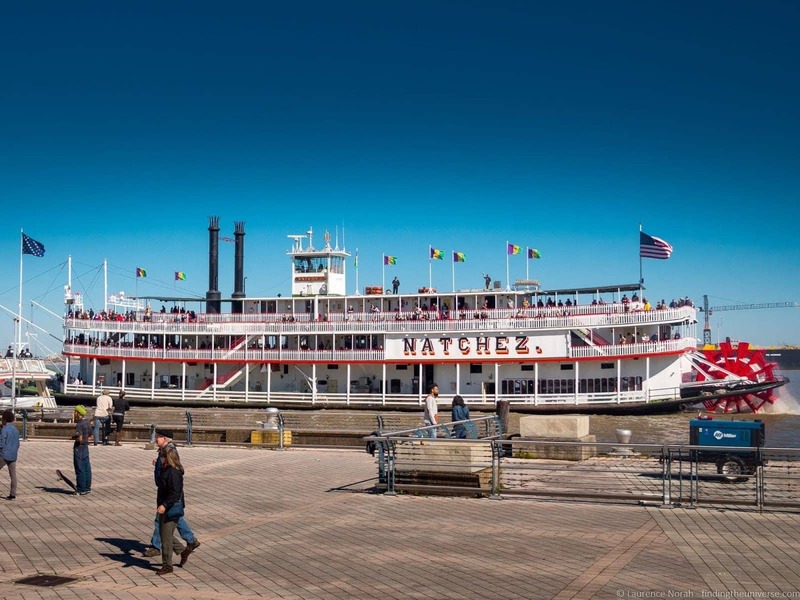 We also took a river boat cruise on the steam powered riverboat the Natchez, which was a wonderful way to end our Deep South adventure. For more on what to see and do in New Orleans, check out our guide to visiting New Orleans during Mardi Gras, which has lots of information on activities, plus advice on visiting during Mardi Gras. We can also recommend the New Orleans Pass to save money on attractions in the city. Where to stay in New Orleans, LA: There’s a huge amount of choice in New Orleans, although if you visit during Mardi Gras, expect prices to be high. Some options for you to consider are: Bourbon Orleans Hotel, La Quinta by Wyndham, Hotel Mazarin, Hotel le Marais and French Market Inn. Here’s a map of the above route to help you plan your own trip. Well done – you made it! And so did we. Now, let’s answer some questions you might have, and then cover some practicalities for your trip. We spent five weeks road tripping from Charleston to New Orleans, although we spent almost a week at either end, and we travelled fairly slowly, taking our time and really savoring the adventure. 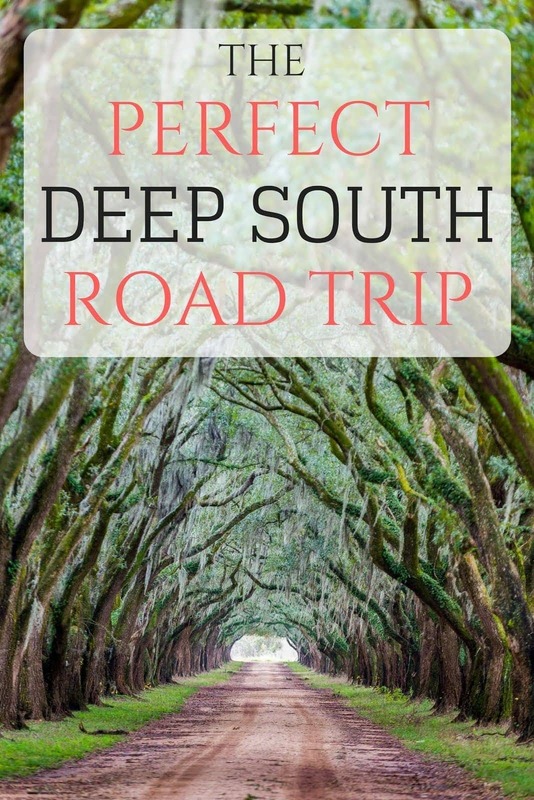 We’d suggest that a two week deep south road trip would be the minimum amount of time we’d recommend, and if you have time, try to stretch it to three weeks so you can fit more in. Of course, there’s a lot more to see in all the states we’ve mentioned, so you could easily extend this itinerary for as long as you wish! We visited in January, when the temperatures were pleasant for the most part – although we did experience light and brief snowfall in Birmingham, Alabama! We’d definitely suggest Winter or Spring / Fall would offer the most reasonable temperatures. In the summer this part of the USA gets very hot and humid, which can make sight-seeing uncomfortable. If you’re interested in attending the Mardi Gras festivities, these vary in timing as they are based around Shrove Tuesday, a religious date which changes every year. It usually falls somewhere in February or March. If you’re not interested in Mardi Gras, it’s best to avoid cities that celebrate it during this time, particularly places like New Orleans, Mobile and Baton Rouge, as accommodations will be both expensive and hard to find. Fair warning, don’t come to the Deep South expecting to lose weight. Portions are large and the food is definitely waist expanding. 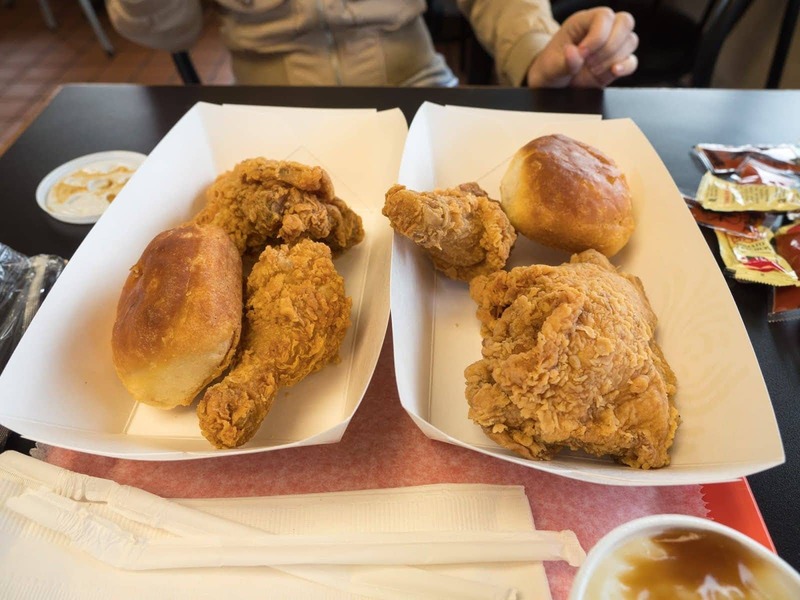 Fried Chicken – No round up of Southern food would be complete without mentioning fried chicken. Usually battered, this is an absolute must-try when journeying through the south. We had it presented in all kinds of forms, from the classic no frills fried chicken, through to fried chicken on waffles with bacon and maple syrup. Amazing. BBQ – Of course, the Deep South doesn’t have a monopoly on BBQ (Texans in particular would have something to say about this I suspect), but the origins of BBQ are definitely in the south. Different regions have different BBQ sauce styles, with the classic meat being pork. Grits – I’d never had grits before visiting the Deep South, and was I missing out! Served generally as an accompaniment, they are made from ground corn which is boiled. Tastier than they sound! There are a lot of lodging options in the USA, truly something for pretty much every budget. On our trip, we did a mix of motels, hotels and AirBnB stays, generally booking online using booking.com as we found that was cheaper than turning up at the property. Often we’d arrive at hotels and ask if they would price match, but we were usually told by the reception staff to book through booking.com for the best deal! So we did. For your convenience, here are direct links to all the city pages on booking.com that we used for our deep south road trip. Each section of the article also has recommended lodgings. Travelling in the Deep South of the USA is relatively easy. People are generally friendly, you can ask for help, and the infrastructure is good. There are a few things to be aware of, so here’s a run down of some of the most important. The USA uses a 120 Volt electrical system, which means if you’re coming from Europe you need to check if your equipment is supported. Most laptops and phone chargers will work (the adapter will have 100 – 240V marked on it), however high powered items like hair dryers and travel kettles may not. You can buy voltage convertors, but these tend to be heavy – my advice would be just to pick up a cheap version of whatever it is you need in the country from somewhere like Walmart. The plugs are for the most part a narrow two pin plug, if you’re coming from abroad you’ll need a travel adapter. I also advise travelling with a power strip – often motels / hotels don’t have enough outlets to charge all those gadgets we travel with. Something like this would be good. Internet access is relatively easy to find in the US. WiFi networks can be found at most bars, restaurants, cafes and hotels, and there are also free networks in some public areas. So getting online isn’t too hard. If you need to be permanently online with data on your phone, you have a number of options. First, check if your cellphone provider has some form of overseas roaming policy. I use (and love!) the Three network in the UK, because it lets me use my home data allowance at no extra charge in nearly 50 countries, including the USA. So I can just roam without worry on my unlimited data package. If you’re travelling to the USA from the UK, getting a pay as you go SIM from Three before you go might be the cheapest way to get data on your phone – you can order a free SIM here. If you’re not from the UK, then check with your provider to see what options they give you for data abroad. If the prices are unreasonable, you have a number of other options. First, if your phone is unlocked, you can pick up a SIM card locally. One of the better value deals in the USA I found was the Straight Talk plan, which offers 5GB of data for $45, and can be picked up at any Walmart. There are lots of other PAYG options to choose from, see an overview here. For more information on the various options you have for getting online, see our complete guide to getting online when you travel. The USA has a great healthcare system, with the huge caveat that it’s mind-bogglingly expensive. I cannot stress the importance of good travel insurance enough that will cover your medical fees if the worst should happen. Depending on where you live in the world there are numerous travel insurance companies, so do shop around for a good policy. One that is often recommended for travellers, wherever they come from, is the World Nomads travel insurance, which offers great coverage for trips of varying duration. The USA is a safe country to travel in for the most part, however, sensible precautions should apply. Don’t leave valuables alone or in plain sight, especially in parked cars. Take advantage of the safe in your hotel or motel. Don’t travel with large amounts of cash – use your credit card or debit card instead, and just keep small bills for tips and instances where cards aren’t accepted. Be aware of your surroundings, particularly if travelling alone or in an unfamiliar neighbourhood. Check with locals, like your AirBnB host, if there are neighbourhoods to avoid. Finally, take a look at your governments travel advice page for the latest information that may apply to you – for example, the UK Foreign Office has some helpful information for travellers to the USA here, which applies to both UK and non UK nationals. The USA uses the US dollar bill. These are all green, and come in seven denominations – $1, $2, $5, $20, $50 and $100. They are all the same size, with only the number and illustration being different, so they can be a little hard to get used to at first. There are also coins, running from 1 cent through to $1. Credit cards are widely accepted, and are usually the easiest way to pay. At gas stations in particular, it’s most common to pay at the pump with a credit card rather than at the till. One thing to be aware of – prices in the USA are usually displayed without sales tax or tip included. Sales tax varies state to state, from 0% to around 10%. This is something to keep in mind, especially in restaurants, as everything on the menu will be a bit more expensive than indicated once tax is added. Tipping is also a part of the culture in the USA, especially in the service industry. Tips average 15%, but can vary between 10% and 20%. You can either add the tip to the credit card, or leave cash. It’s always helpful to have some $1 bills for tipping purposes. For an idea of how much to budget for a road trip like this, see our guide to how much it costs to travel in the USA. Driving in the USA is quite easy – the roads are large, well-signed and the vehicles are usually automatic which gives you less to worry about. There are definitely a few quirks to be aware of though if you’ve not driven here before – things like turning on a red light and the rules at STOP intersections. It’s a lot to cover, so I wrote a whole post on tips for driving in the USA which will answer all your questions. Otherwise, take a look at car rental prices here to compare the best deals from a number of providers and get yourself booked for your adventure! Looking for more road trip inspiration? Check out our guide to the world’s best road trips for more ideas! And that pretty much sums up our post on the perfect USA Deep South Road Trip! Have you ever done a trip like this? Anywhere you’d suggest adding to the itinerary? Let us know in the comments below! Hey, just a quick correction to the Montgomery section of your trip. Cahawba was only the capital city temporarily from 1820 until 1826 – not for over 100 years. Huntsville was the first temporary capital after Alabama became a state in 1819 (200 years ago on December 14 of this year), then Cahawba (as I said, until 1826), then Tuscaloosa until 1846 which is when it moved to Montgomery in an attempt to have the capital be a more centrally located city in the state. Love the blog, My wife and I are heading to Savannah for our anniversary this year and thanks to your blog, we are going to take a couple of extra days to go to Charleston. I’ve been there but it was long ago and I had forgotten how beautiful it was. Thanks. This all looks very interesting indeed. I am hoping to do a family road trip, either deep-south, or West to East coast. But blimey, the food does not look at all appealing! Gosh is all food either brown or covered in cheese in America? Love your web page, we live in the UK and are thinking of planning a trip to the south for two weeks and looking for advice for the best route to take for us to see the most interesting places. We are thinking of going in May is this a good time? We are planning to arrange the trip ourselves, rather than an agent so is it wise to book hotels/motels or airbnb in advance here in the UK. Thanks very much. It’s a fantastic trip and we’re sure you’ll have a great time. May is a great time for this trip, temperatures will be pleasant but not unbearable, likely in the 20C – 30C range. For your hotels, I would say that generally you will be ok not to book far in advance at this time of year, the only exceptions would be if there any any events happening in any of the locations you are headed to that you need to be aware of. I can’t think of any off the top of my head. May should also not be too busy in general, so availability should be reasonable. We have not normally had a problem just booking a day or two in advance on trips like this, but if you prefer peace of mind and greater choice, then you can always book in advance. One idea is to book using a platform like booking.com at properties that allow for cancellation, and then you can switch it up as you go if you prefer, whilst having a fallback option. I found your blog, while I was trying to figure out where to go for my 50th birthday. My wife said that we can go anywhere I want, as long as we stay inside the USA. We have up to four weeks, of vacation, ready to go. But we do have two elementary age children. So the trip will have to be between mid June and late August. Over the past 12 years, we’ve taken road trips to West Virginia, across the Northern states. Traveled all around the Mid-West (Kansas, Nebraska, Missouri, and Kentucky). Road trips down the Oregon and California coasts, And we’ve spent a week (give or take a day or two) in each of the following: Hawaii, Miami, New York, Washington D.C, Las Vegas, Phoenix and San Francisco. But I’ve never spent any time in the Deep South. After reading your blog, that may change. You made the Deep South sound like a great place to go with our kids (especially since I’m into American history). The only part I’m worried about, is its weather and the humidity. We’ll be coming from the Seattle area, where the weather and humidity is the exact opposite from the South. So the Summer weather, kind of worries me. Wow, what a gift to discover your post! You have expanded my vision of the deep south. We have visited Charleston, Alanta, and Savannah and loved these locations. Planning this summer going from San Antonio to Mobile with extended time in New Orleans. Obviously we need to plan more time in the Mobile area. Any other words of wisdom for us? Thanks very much 🙂 We were in Mobile during Mardi Gras, and we can definitely recommend a visit to the Mardi Gras Museum which is very good. However, we didn’t see much else during our time there. We were also just in San Antonio, I’m not sure if you’re from San Antonio or just starting there, but we did just publish a guide to San Antonio as well 🙂 Of course, if you’re from San Antonio I’m sure all this will be familiar to you! Thanks – we will check out your suggestions, flying into San Antonio, train to New Orleans, then rent a car for Alabama. Thanks again. My pleasure! Sounds like it’s going to be a great trip 😀 Let us know if you have any more questions! I’ve been to a number of cities on your list and loved them all. My town Fairhope, across the bay from Mobile is a gem. Great read as we are planing to come over in Dec next year for a road trip as a family of five and we need to do as much research as possible! Our itinerary will be ideally a 7 night Cruise from Galveston then Houston-Lafayette-Slidell-Tallheusee-Orlando-Savannah- Montgomgery-Jackson-Dallas and back to Houston. Excuse the mis-spellings.! Sounds like an awesome trip Larisa! You can also head to the top of Red Mountain, home of the Sloss Mines, where the ore for the furnaces was mind. You can also head to the top of Red Mountain, home of the Sloss Mines, where the ore for the furnaces was mined. As a Mississippian who grew up in Long Beach (next to Biloxi) and living in North Carolina let me complement you on your excellent choices. You nailed Charleston and Savannah, two of my favorite towns. For ship watchers, Savannah is one of the busiest ports in the United States, part of a railroad corridor that stretches across the U.S. to San Diego. I’ve also lived in Mobile and Montgomery and they are two hidden gems. Montgomery has live music on the weekends and a Baseball park built on top of an old confederate barracks. Dauphin Island is near Mobile and it has miles of white sand beaches. If you are a seafood lover btw, I would try our oysters on the the Gulf Coast, in my very prejudiced opinion, some of best tasting anywhere. They can be fried, in a broth, or you can have them char-broiled, cooking in the half-shell with garlic. I grew up two blocks from the beach, even moved back after Camille, and love the Gulf Coast beaches, where you can get a sunrise and a sunset! On the Coast we have a small town vibe but we have visitors year round, and there are two big military bases in Gulfport and Biloxi that contribute to the big net we cast. Thanks for the great article! As we say on the Coast, don’t be a stranger! Come back when you can! We spent two weeks driving from California to visit the deep south. We stopped in New Orleans, Tallahassee, Savannah, and Charleston. We drove the backroads through deep Georgia and it was amazing! The people in the deep south are straight out of a character novel. They are warm and friendly and some of them say the quirkiest things! The food is phenomenal!! I gained 5 pounds over our trip and I do not regret one bite! We visited in July and the humidity definitely takes some getting used to but after about 3 days, my skin seemed to love it. The architecture, history, plantations, and culture are beautiful and fascinating. The cicadas and the sounds of the insects were truly magical and the lightning bugs!! Seeing the lightning bugs was definitely on my bucket list! So beautiful, like little twinkling fairies. We originally made the trip because we were considering moving out there in 2 years. After the trip, we pushed up our move to next year. We completely fell in love with the deep south. It was everything that I had hoped it would be! I am so pleased that you had a wonderful time. The food really is amazing isn’t it? And you are so right about the people. Love that you are moving there a year early too – I hope it all goes well for you! I’m born and raised in Alabama – with a few sojourns in California, New York and Chicago. If you come to Alabama again, make sure you hit Fairhope, a quaint, beautiful town across Mobile Bay from Mobile, AL. If you come this far, also visit Gulf Shores on the shores of the Gulf of Mexico – one of the secrets we keep from beach lovers so it stays pretty and white. I enjoyed your article on the deep south trip and although I’ve been to all of the places you mentioned, your info. will send me back to those places again better informed. Thanks Martha! We’re actually going to be in Alabama this September most likely, visiting Huntsville and some of the space related sights 🙂 Not sure how much time we have, but I’ll definitely keep your tips in mind – thanks very much! Wow this is awesome! I work in the school system So unfortunately summer is the only time my boys and I can travel. We live in Charlotte so we will hit the road this summer. I’ll be sure to prepare for the unbearable heat! We will have about 3 weeks! Thank you for sharing! Thank you so much for this really informative itinerary! My boyfriend and I are doing a deep south road trip this summer and you’ve given us some great ideas which move away from the typical cities. My pleasure – have a really wonderful trip and do shout if you have any questions! I LOVE THIS! I live in Hawaii, but doing a Road Trip around the South is on my bucket list. Thank you so much for the info and suggestions. Love your article. There are so many of my favourite deep South destinations on it. As a Canadian, I need to get my Gulf Coast “fix” on a regular basis.